"I Wander the Sacred Outdoors, A Pilgrim... Nature Is My Meditation"
Emphasizing strength and portability, the Nordsmith Pilgrim is your Right Sized Survival Knife. Conveniently sized for campers, hikers, and hunters, the Nordsmith Pilgrim has everything you need in a compact package. 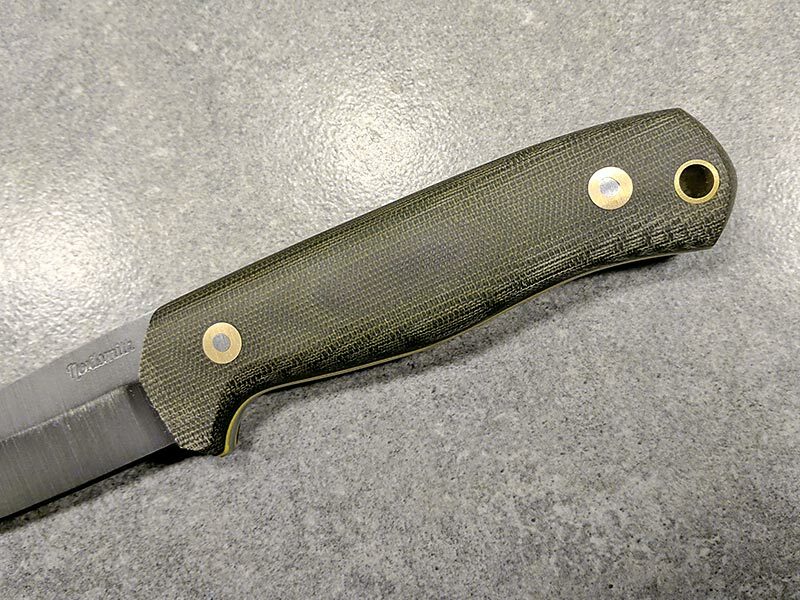 “I designed the Pilgrim as my go-to knife recommendation. Versatility: A survival knife does you no good unless it is actually useful for other tasks too. It has to be a “knife” first, and a “survival knife” second, so a classic shape is best. 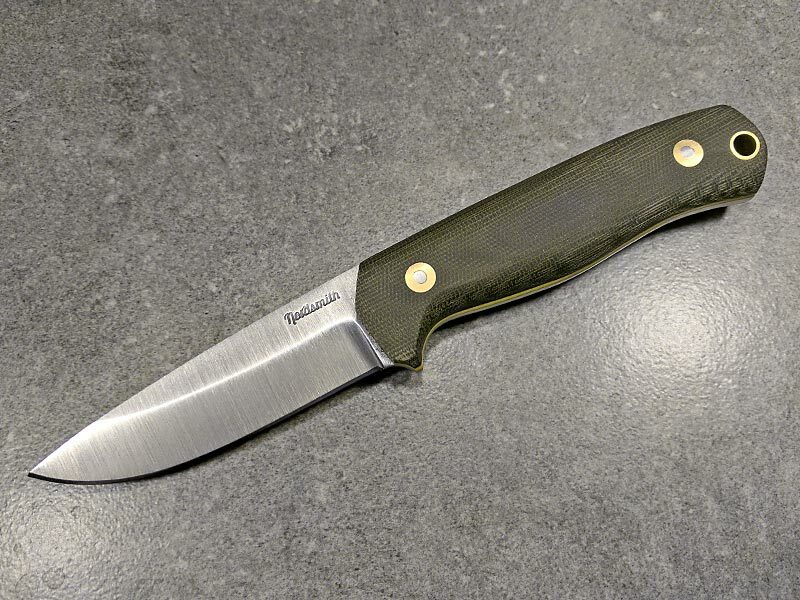 With a drop point blade for versatility, the Pilgrim works in any outdoor scenario. Ease of Maintenance: AEB-L edge retention is fantastic and it hones as easily as many carbon steels, making field maintenance a breeze. And thanks to its stainless qualities, you will not have to worry as much about rust. Strength: The blade needs to stand up to stress in an emergency but you still want it to slice well. The 5/32” thick blade of AEB-L has plenty of toughness and is not too thick for general use. 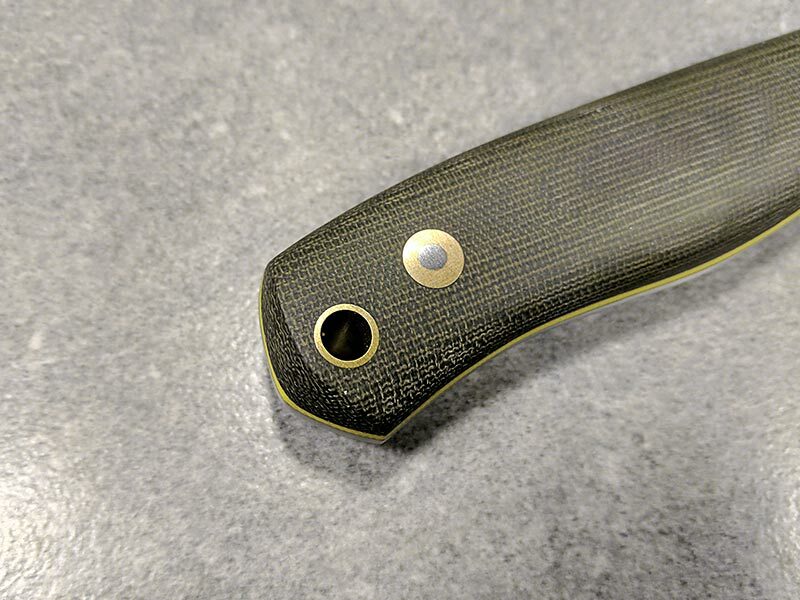 The Nordsmith Pilgrim is made with durable canvas micarta (which will not swell or crack like wood) secured by large bolts and two-ton epoxy for maximum strength. Forget about those hollow-handled knives you see in the movies. This is a gimmick; it reduces the strength of your knife and ruins the ergonomics of the handle. Portability: Make a knife easy to carry, and you are more likely to have it when needed. 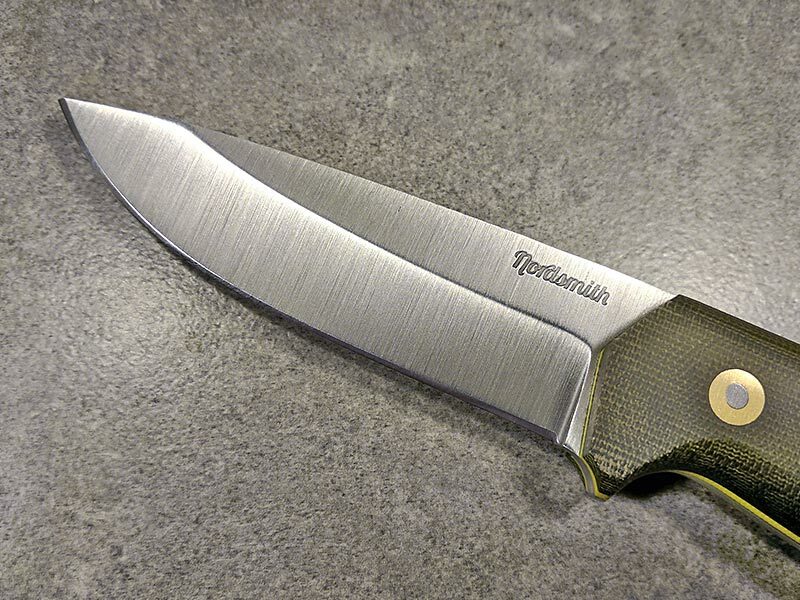 With a blade under four inches and a full sized handle, the Nordsmith Pilgrim is legal in most jurisdictions across the United States. (Always check your local regulations before carrying a knife). Finger Guard: The guard on the Pilgrim is large enough to protect your fingers – especially important for a survival situation where you might be battling frostbite or fatigue – without getting in the way during everyday use. Multipurpose Handle: Many survival knives have a protruding tang. While this can be useful for thumping on things, they can be very uncomfortable when in use. As a compromise, the Pilgrim features a vertex on the pommel that will concentrate your force to one point without the discomfort of bare metal. As a result, the knife feels good in every handhold and won’t dig into your side while on your belt.